East End Press, 9780988767324, 320pp. Dramatic history, lush scenery, and a colorful cast transport us to the time of Cuba's turning point - the late 1950s Set against the tropical landscape of Cuba's countryside and the glamour of 1950s Havana, this moving story of Cuban life at a pivotal time in the country's rich history will resonate with anyone who has experienced the loss of family or homeland. It is 1958, the last year of Fulgencio Batista's dictatorship. Mike, the son of Don Miguel, a wealthy land owner and rancher, is summoned home from his MBA studies in the United States because of his father's failing health. Still recovering from the loss of his wife, Mike's return is an immediate tonic for Don Miguel. Caught between his family obligations and his desire to pursue his own dreams, Mike quickly finds himself succumbing to his father's desire for him to take over the responsibilities of running the family ranch. As Mike settles back into the life he was groomed for, Don Miguel, reinvigorated, spends more and more time socializing in Havana. Changes are happening everywhere. The government is encroaching on civil liberties and social and political upheaval is in the air. There are rumblings about Castro's guerillas organizing in the mountains. On the ranch, long-time employees of Don Miguel resent the changes that Mike is making, setting the stage for a confrontation that change the lives of everyone involved. 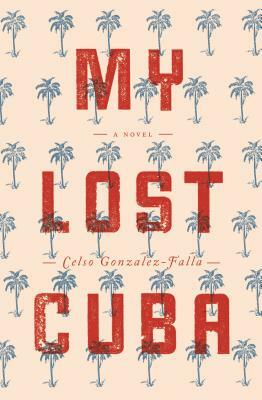 With evocative language, vibrant characters, and explosive history My Lost Cuba pull us into fascinating time and place-. It is a memorable family saga, love story and political tale. Celso Gonzalez-Falla was born in Cuba in 1935 and studied law. He became an activist fighting against the increasing restrictions put in place by Fidel Castro. In 1961 he had to leave Cuba as a political exile. Celso Gonzalez-Falla (Corpus Christi, TX) is active in both business and philanthropy in the United States. He, along with his wife, founded The Gilman and Gonzales-Falla Theater Foundation and he is Chairman of the Board of the Aperture Foundation.